If you perform well in practice but find yourself under-performing in competition, you can benefit from mental training for gymnastics. Do you (or your athletes) struggle with performing up to your potential in competition? Do any of the statements below relate to you? I try so hard to be perfect that I get in my own way. I lose my confidence when I step on the mat at meets. In competition I feel tight, perform cautiously, and I try too hard to avoid mistakes. 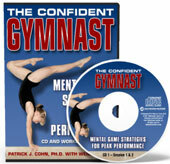 Gymnastics Mental Coach can help you improve your mental game. 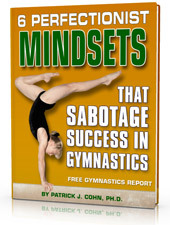 Start Your Mental Training for Gymnastics Today! 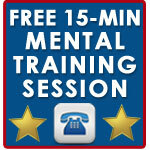 Contact us today with your gymnastics mental training questions 888-742-7225!